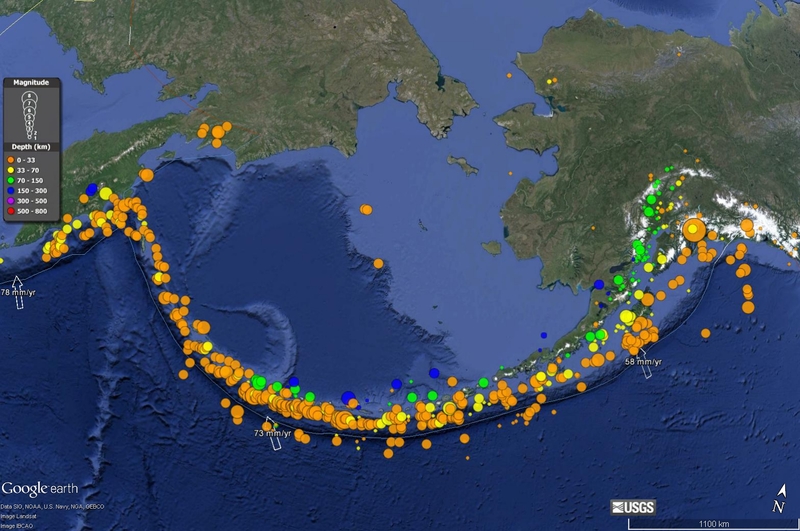 Earthquake along the Alaska Penninsula! We just had an earthquake along the Alaska Peninsula. The magnitude is currently set at 6.7 on the USGS website. The Peninsula is a volcanic arc that forms as a result of the subduction of the Pacific plate beneath the North America plate. The second largest earthquake ever recorded by seismometers occurred on March 27, 1964, known as the Good Friday Earthquake. I have posted some material about this earthquake. Here is an early map showing the epicenter of the Mw = 6.7 earthquake. This earthquake has an oblique strike-slip moment tensor fault plane solution. Based upon the block rotation in the forearc to the west, I suspect that this may be a N-S right-lateral earthquake. 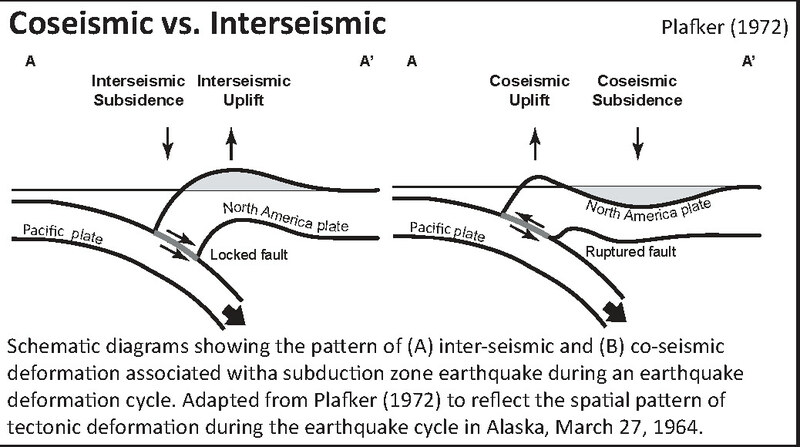 Here are a couple pages that discuss the Good Friday Earthquake and the general tectonic setting along this plate boundary. June 2013 M 7.9 Rat Islands Earthquake. This page also has some cool animations from the Rat Island Earthquake and tectonic maps of the Aleutian Islands. 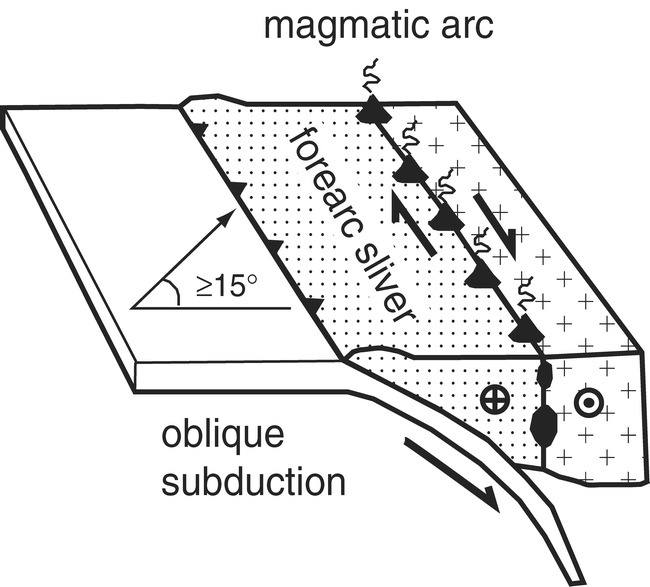 Here is a graphic showing what a forearc sliver might look like (from GSA). This map shows the region with historic earthquakes extending back to 1960, of magnitude 6,0 and larger. The largest circle in the upper right part of the map is the epicenter for the Good Friday Earthquake. 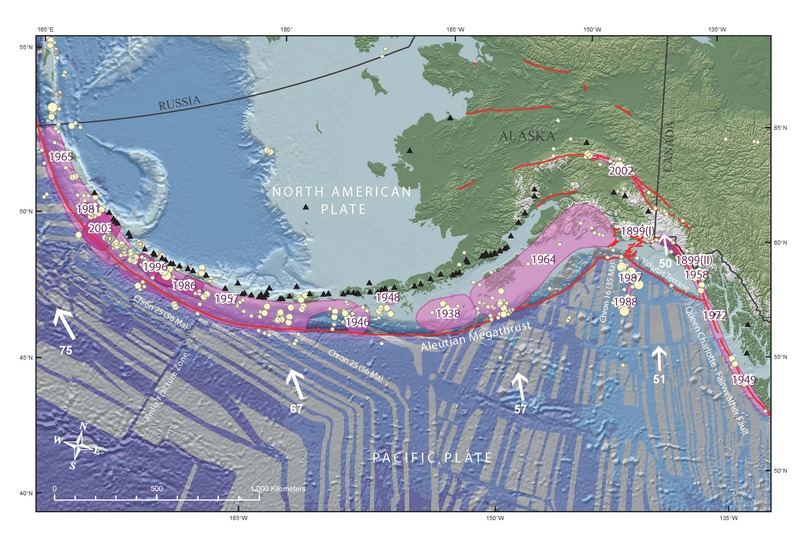 Here is a map showing the historic earthquakes along this subduction zone. 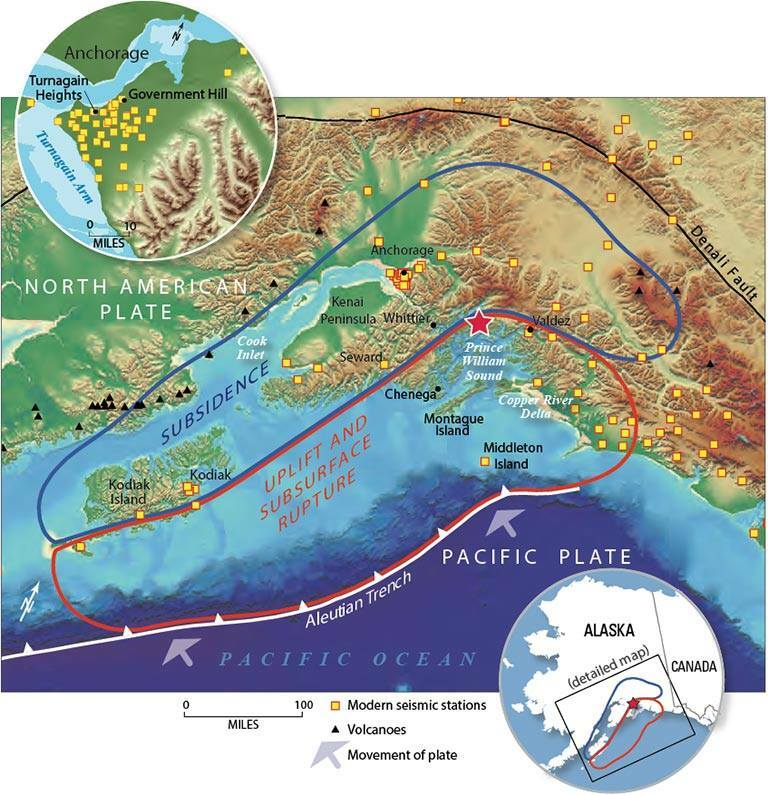 This is from Peter J. Haeussler, USGS, Alaska Science Center. 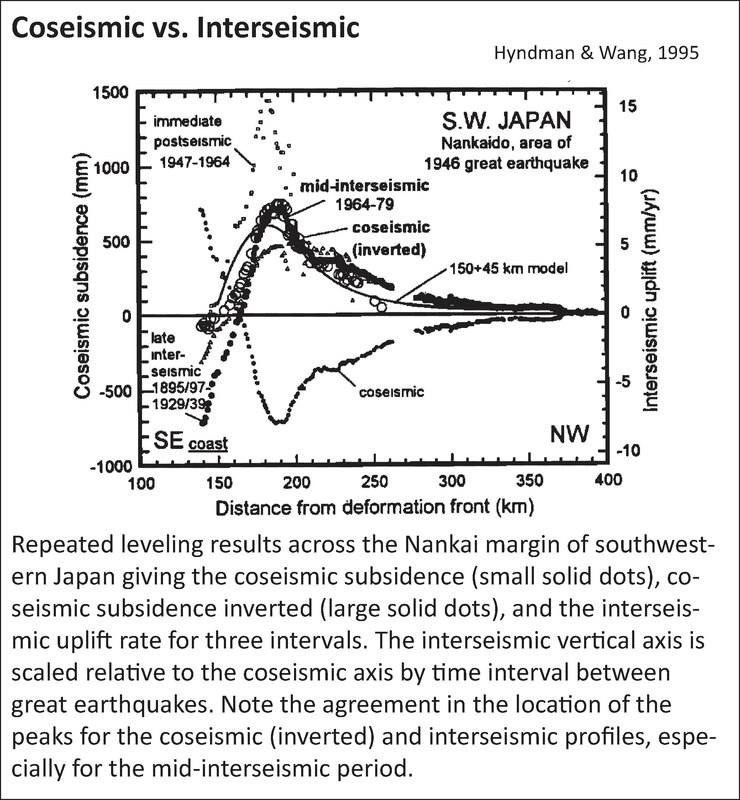 These are leveling data from the earthquake cycle along the subduction zone in southeastern Japan. Gorda earthquake triggered a Gorda earthquake?